For most people getting off the bus in Vaduz, Liechtenstein, half of the thrill is purely being able to say you’ve been there — the capital of the tiny Alpine principality that’s somehow managed to survive the political storms of the last 300 years, all with a functioning politically-empowered monarchy. Considering the majority of the 5,000-strong capital city was built in the 20th century, particularly after World War II, that may be justified for those seeking the handsome Baroque and medieval towns in nearby Switzerland and Austria. 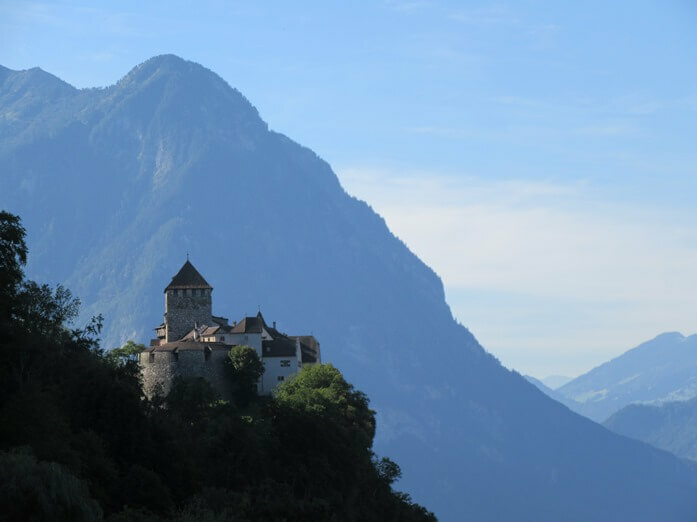 Indeed, Vaduz’s main historical building, the 12th-century castle (officially called Princely House of Liechtenstein) overlooking the city, remains a home of the royal family, and therefore closed to guests. As a result, most visits to the city usually end after a few short hours of picture taking. Of course, that’s hardly enough to discover what gives Liechtensteiners their distinct flavor. 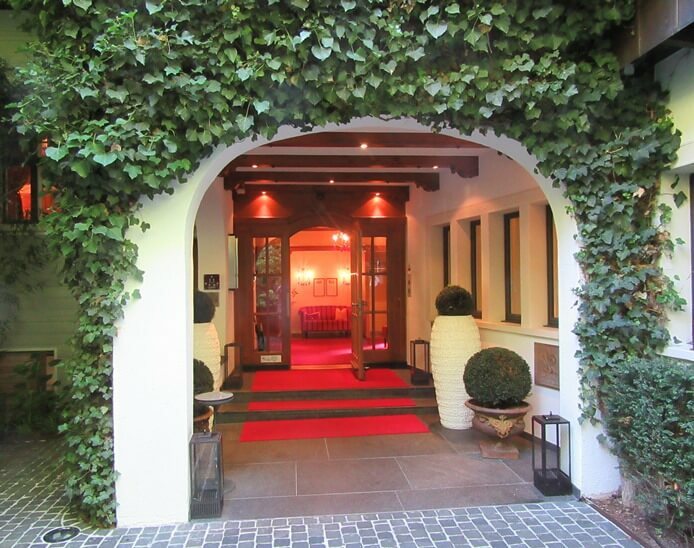 A day and a night are required at the very least, and the most luxurious (and best, according to PR reps and locals) accommodation in the city is the Park Hotel Sonnenhof, . To get there, be sure to get a car, as it’s a sweaty hike up the relatively steep hill. Besides, it’s highly doubtful any guest of the hotel would ever arrive by foot. A sweep of the parking lot reveals the real story: think Tesla. Just keep your eyes open when approaching, as the boutique chalet appears to burrow into the deep green hillside, almost like a hobbit hole, but stepped and long. The entrance is around back, to the left of the Relais & Châteaux seal, and under an archway spilling out a red carpet. Inside, gold is woven into the colors of walls, floors, and upholstery of the lounge, to the left; dining room, straight ahead; and reception, to the left; completing the official colors of the Princely House of Liechtenstein. There’s an aged-but-royal design to the furnishings as well— round white clothed tables, antique-style lamps on wood side tables, heavy curtains, chandeliers, and classical busts. Those seeking a more modern dynamic need not worry, however, as the style doesn’t extend much beyond the three common rooms. The “Eagle’s Nest” is an altogether different aesthetic. Thatched with wooden slats into a kind of actual nest, it’s home to the Sonnenhof’s open-air Restaurant Marée, which not only comes with the best view of the castle in town, but Michelin-starred cuisine to boot. 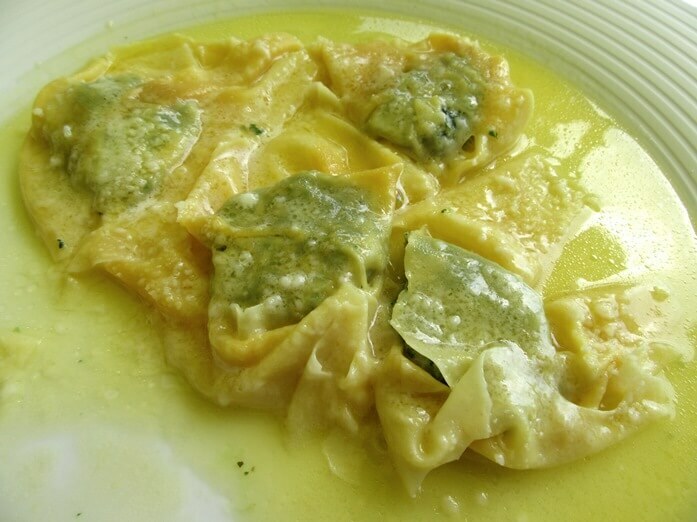 In fact, it’s the hotel’s owner, Hubertus Real, who serves as head chef, and his work also goes well beyond the norm, saturating the pleasure centers of the body with dishes like buttery raviolini and the crème brûlée with passion fruit sauce. It just may be the best meal of your trip. 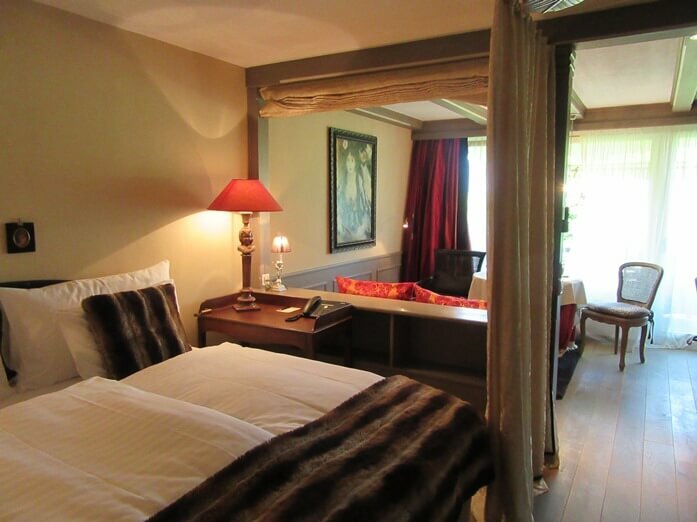 In the suites (starting at $450 per night), the design gets the most playful, with several thematic schemes including Armani (printed fabric walls and dark leather), Country House, Norwegian Cottage, Africa (leopard-print blanket included), and Modern Living. 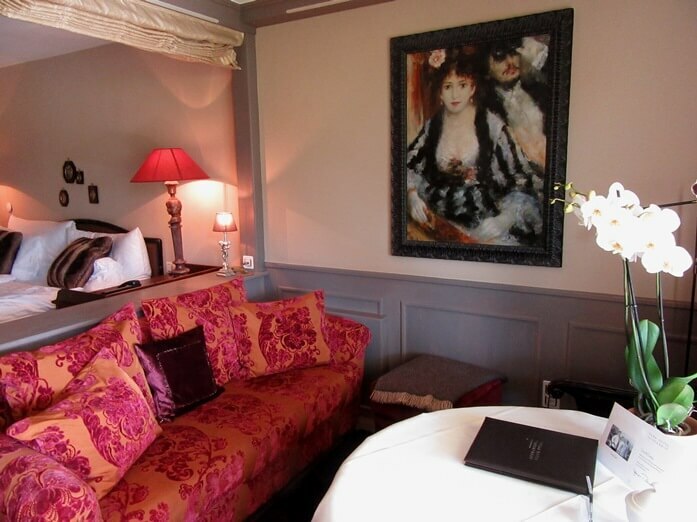 Room 32 is Parisian Chic and opens to a long, slender hallway, floored in wood, and lined with a long, purple-cushioned banquette, perfect for a nap. Serious sleep, however, should be on the bed just across, sectioned off from the rest of the room by a waist-high wall of shelves on one side and sliding curtain around the rest. The main space of the room lies just beyond. Reminiscent of a Belle Époque café, a brocade sofa and wood chairs surround a small round table topped with a white cloth and orchids. A vivacious young woman looks down from a Renoir (or Renoir-esque) print on the wall above, adding yet more charm. But it’s more likely you’ll do most of your lounging out on the balcony, which looks spectacularly out to the Rhine valley. Just keep in mind, any moonlight shenanigans will be heard by your neighbors. 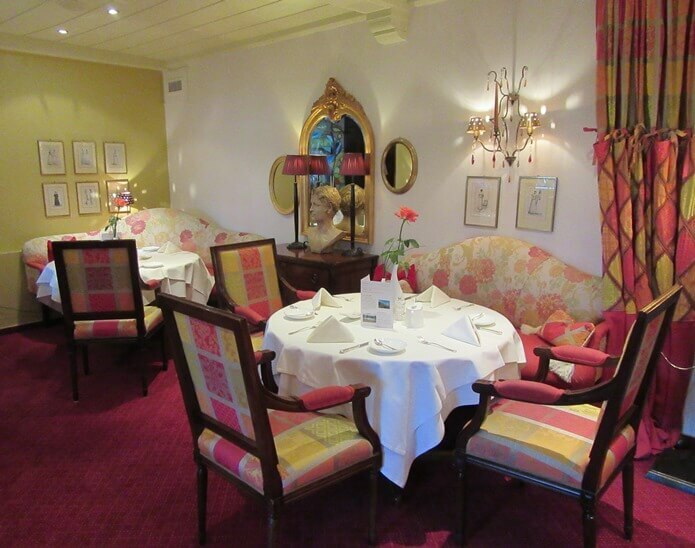 The rooms and restaurant are not the only reasons to budget some time at the Sonnenhof. The hotel’s “Wellness Oasis,” inspired 1001 Nights, is worth a few hours, to enjoy the indoor pool, Finnish sauna, infra-red cabins, and lounge chairs inside and out. The Moroccan motifs, exposed wood ceiling beams, draped green curtains, and sapphire blue of the water make it a sensuous space, at least enough to quietly resent any fellow guests intruding on the intimacy. You can knock up the indulgence a notch further with a massage or spa treatment, but it may be the least memorable part of your stay. 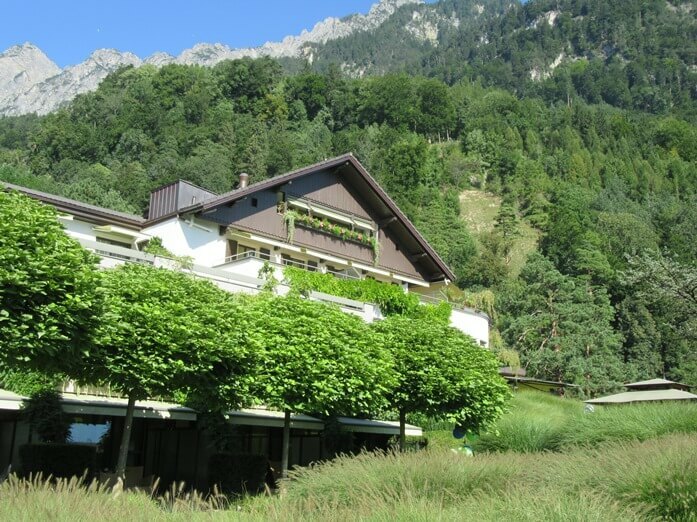 What is memorable about the Park Hotel Sonnenhof is that the entire property is a passion project, headed by the Real family, and as such, feels far more human than any chain, however luxurious. Indeed, it imbues every aspect of service and the overall boutique design with additional warmth. If there’s any major drawback to note, it might be the lack of air conditioning (severely restricted in Liechtenstein), but that’s only an issue during a few hot weeks in summer. 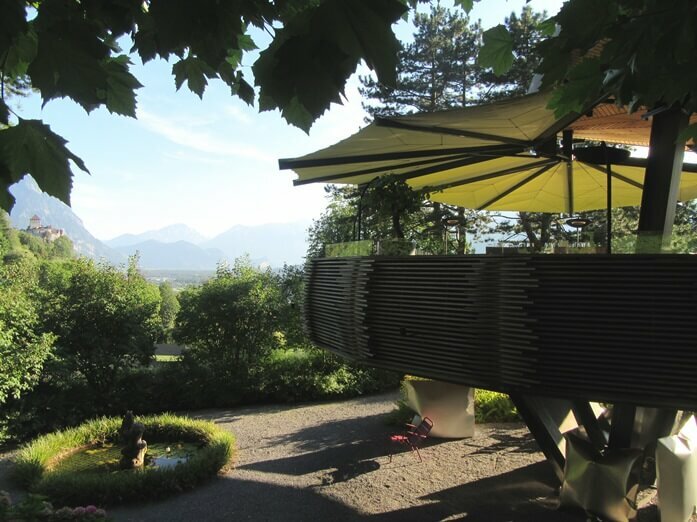 Perhaps the most impressive achievement of the Park Hotel Sonnenhof is that it has become its own attraction, worthy of a visit even if you aren’t staying the night; but you should. Make your reservations online with the hotel, or you can book through agoda.com.